Mantra Healed Shani Raksha Kawach is very Beneficial when Shani is unfavourably placed in your horoscope or you are under Shani Sade Sati / Dhaiyya / Maha Dasha / Anter Dasha etc. It helps to Prevent adverse effects of Shani like Depression, Health Problems etc. Wearing this Mantra Healed Shani Raksha Kavach Protects you Against all Negetive Engergies and Removes all ill effects of Shani. 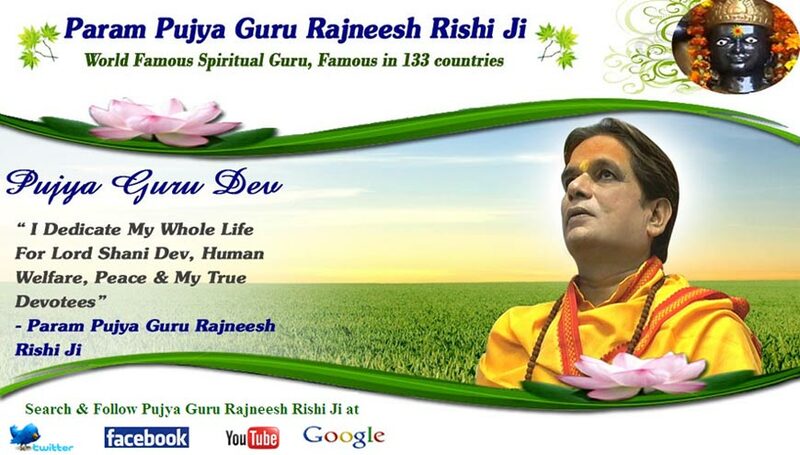 Pujya Guru Rajneesh Rishi Ji at Siddh Shani Peeth, New Delhi, provide Mantra Healed Shani Raksha Kawach that are Properly Energized and Mantra Healed ( Pran Pratishta ) at Proper Mahurats by Brahmins with Vedic Mantra. As per our ancient texts, a Mantra Healed Horse Shoe when fixed on the Main Door of House / Work Place, keeps Evil Sprits and Bad Gaze ( Buri Nazar ) out. It is the most effective item to remove bad luck and diseases from the house. A Mantra Healed Horse Shoe Naal or Ghore Ki Naal protects from evil eyes, all kinds of negativity, tantra attacks, Black Magic. Horses Shoes also protects against the bad effects of Shani ( Planet Saturn ). Horse Shoe Naal is also popular as a Lucky Charm in India as well as in the other Countries. According to Feng Shui also it is considered favourable to install a Horse Shoe on the Door of the House / Work Place. When Saturn is malefic in a horoscope, in transit or causes Shani Sade Sati or Dhaiyya, use of this Mantra Healed Shani Yantra is very Beneficial. Shani Yantra is useful, when one feels depressed. Health Problems Caused by Saturn are paralysis, insanity, limb injury, cancer, tumors, heart pain, rheumatism, bronchitis, etc. Our World Famous Spiritual Guru - Param Pujya Guru Rajneesh Rishi Ji provides Properly Mantra Healed Siddh Shani Yantra written on Bhoj Patra / Encarved on Metal Plate / in Shape of a Pendant (To wear around neck), which helps you in achieving sucess in wordly affairs, success in business, truthfulness, wisdom, power & reputation, patience, love of justice, ability to lead, long life etc. This Mantra Healed Shani Yantra must be kept and worshipped in temple of your house. By the use of Shani Yantra malefic effects of Saturn are eliminated. Guru Rajneesh Rishi Ji Suggests, When Saturn is Malefic in your Horoscope or If you are having Shani Sade Sati, Shani Dhaiyya, Shani Maha Dasha or Shani Anter Dasha then Mantra Healed Shani Yantra must be kept in temple of your house or worn around your Neck. It should be kept on any Saturday of rising Moon. Guru Rajneesh Rishi Ji at Siddh Shani Peeth, New Delhi, provide Mantra Healed Shani Yantra that are Properly Energized and Mantra Healed (Pran Pratishta) at Proper Mahurats by Brahmins with Vedic Mantra along with your Name and Gotra to bring you out of all Shani Problems. You all are Cordially Invited at the Worlds Greatest Shani Maha Yagya being Organised by Pujya Guru Rajneesh Rishi Ji on 26 July 2014 ( Shani Amavasya ) at Puja Park, Old Rajender Nagar Market, Behind Aggrawal Sweets, New Delhi to Individually Perform Shani Yagya, Tel & Deep Puja by your Name & Gotra and to Get Divine Shani Crown Blessing & Guru Diksha by Guruji. Now you can get Blessings of Lord Shani Dev by offering Shani Puja at World Famous Siddh Shani Temple - Shani Peeth, New Delhi, INDIA, through this website sitting anywhere in the world. Choose Type of Shani Sewa (Offerings) you would like to offer, and complete the request form. During Last One Year more than 1082 Lacs People have Visited Lord Shani Dev in Person and through His Website to Get His Blessings.